A concussion is a possibility after any accident, so it is always wise to get examined by a doctor, even if you believe that you feel fine. If you do have a concussion, a personal injury lawyer in Tracy and Manteca can help you get the compensation you deserve. Watch this video to find out how to recognize the symptoms of a concussion. Headaches, fatigue, mood swings, confusion, and personality changes can all indicate the presence of a concussion. Even minor head injures can lead to concussions, so if you’re hurt, get evaluated. Creating a record of your injury will help your attorney if you file a personal injury claim. Personal injury lawyers rely on these medical records to determine what type of damages are appropriate for their clients. Trusts can be crucial to your family’s future, so in some cases, it may be necessary to remove a trustee from his or her management position. If you suspect that a trustee should be removed, then consult with your lawyer. There are some very specific circumstances in which a trustee should be removed, so talk to your attorney in Tracy or Livermore if you suspect that any of these issues are occurring. Part of being a trustee is ensuring that the assets in a trust are managed appropriately. To do so, the trustee must not use the assets in a way that devalues them or waste them. In some cases, a trustee may be inattentive, causing the value of the assets to fall, or in other cases, the trustee may be incompetent and devalue the trust through improper management. 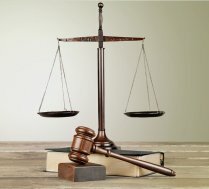 In either of these cases, removing the trustee from the case may be warranted to protect the future of the trust. Your lawyer can evaluate the actions of the trustee and decide if taking action to remove the trustee is appropriate. Whenever a trust is established, there are specific terms associated with it that must be followed by the trustee who administers it. The trustee is legally bound to both adhere to the terms of the trust and act in the interest of the beneficiaries. If he or she violates these terms, then your lawyer may petition to have him or her removed as trustee on your behalf. A trustee should have a neutral feeling towards beneficiaries and should never engage in conflict with one or more members. These kinds of disagreements can interfere with the trustee’s ability to act in the best interest of all of the members of the trust and therefore compromise his or her ability to fulfill the duties of a trustee. Lawyers will frequently move to have a trustee removed if such a conflict arises. 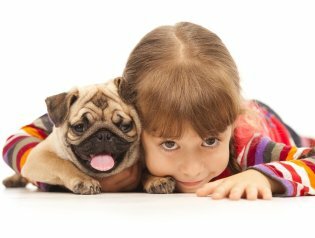 How Should You Address Your Pets in Your Will? Your children aren’t the only beneficiaries that should be included in your will. You should also make provisions for your pets. Your lawyer in Tracy or Manteca can help you determine the best way to provide for your pet in your will and fit your plans for your estate into your larger estate planning goals. There are two considerations to keep in mind when you making plans for your pets in your will. First, you need to decide who should take over care of your pets after your passing. You should determine who you would trust with the responsibility and then consider talking to him or her about your wishes before naming that person in your will. The second consideration is financial. Some people earmark part of their estates for their pets to offset the financial demands of their care, which can be helpful to person who takes them over when you pass away. Your lawyer can help you determine the appropriate way to make these provisions in your will.